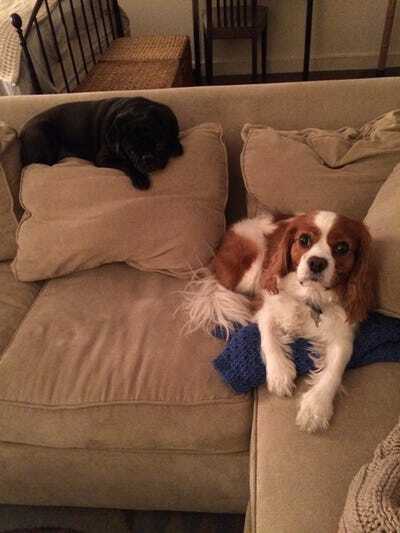 Business Insider/Hayley PetersonRupert hangs out at his DogVacay host’s house. The online dog-sitting community DogVacay just raised $US25 million, bringing its total venture funding to $US47 million, Fortune reports. The so-called “Airbnb for dogs” got the Series B1 round of funding from Omers Ventures and GSV Capital, as well as existing investors including Science Inc., First Round Capital, Benchmark, Foundation Capital, and DAG Ventures, according to Fortune. 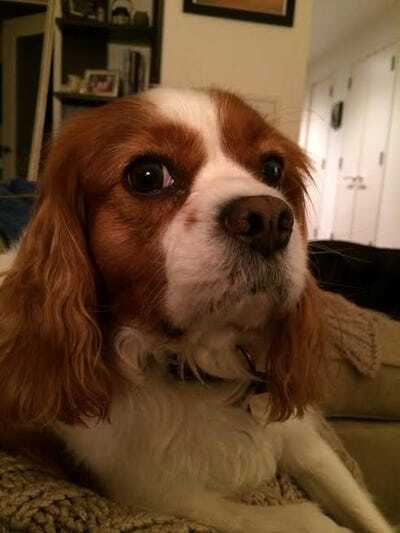 I tried the service, which connects pet owners and sitters online, for the first time last year after avoiding boarding my dog Rupert for six years. I’m admittedly overly sensitive when it comes to Rupert’s comforts and I have never been crazy about the idea of leaving him in a small pee-covered kennel for days at a time. But I ran out of options last fall when I had to leave town for the weekend and everyone I knew was gone for the holidays. So I decided to explore DogVacay. I went to the homepage and input the dates that I would be out of town and the search yielded hundreds of potential hosts for Rupert, many of whom were located within a half mile of my apartment. The options ranged from $US35 to $US80 a night. Most of the traditional boarding locations in Manhattan charge at least $US80 a night. 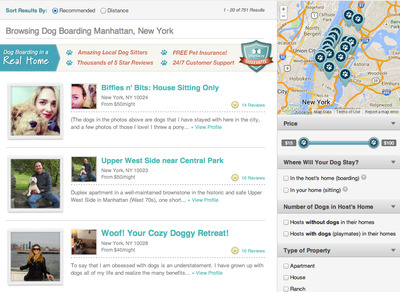 Most of the DogVacay hosts’ profile pages contain detailed summaries of their services, reviews from former customers, and photos of themselves, their living quarters, and their previous animal tenants. I spent an embarrassing amount of time scrolling through all of Rupert’s options before carefully selecting four potential hosts. I contacted the hosts through the website’s internal messaging system, because DogVacay doesn’t initially give out the hosts’ email addresses or last names. This is to partially help ensure that the hosts don’t book appointments outside of DogVacay, as the company gets a 15% cut of all boarding fees. I heard back from every host within a couple hours and settled on Rebecca, whose last name I’m excluding from this article to protect her privacy. At $US50 a night — a little pricier than the average DogVacay stay — I booked Rebecca for three nights. Then camewinter storm Hercules. My flight out of New York was cancelled and then repeatedly delayed. I ended up dropping Rupert off one day later than planned. I had prepaid for the boarding, but Rebecca called DogVacay for me and had one night’s fees removed to reflect the change. She handled the travel issues with ease. After dropping him off, I got a text from Rebecca almost immediately giving me a status update. (Rupert was “having tons of fun already” and romping in the snow with her pug, Wilbur). I was pleased with the updates. I heard about Rupert’s naps, his trips outside, and his general well-being all weekend.And when my flight back to New York was delayed by one day, it was easy to extend my reservation. Rebecca later told me that she’s been a DogVacay host since August 2012 and takes care of 10 dogs a month on average, for varying amounts of time, from one day to weeks at a time. 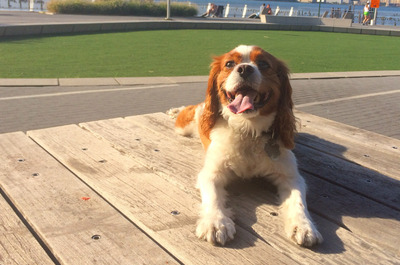 For some hosts, working with DogVacay has led to a full-time job that pays the rent. Pet-sitter Michael Lam told CNBC he started working with DogVacay when he was a programmer for Goldman Sachs. He’s now a full-time dog host and certified dog trainer. The company won’t reveal details on its revenues, though CEO Aaron Hirschhorn told CNBC in August that the site’s bookings had grown 10-fold in 2013. According to the American Pet Products Association, Americans spent an estimated $US55 billion on their pets in 2013, including an average $US327 annually on boarding. 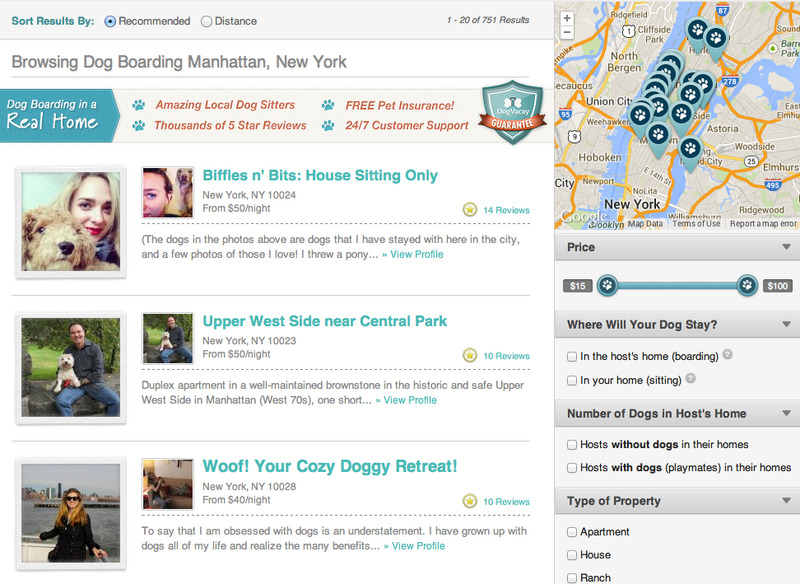 As I noted earlier, DogVacay keeps 15% of hosts’ charges, which range from $US20 to $US70 per night for boarding in New York City. Hosts can also offer dog walking, cat sitting, grooming and other services through the website. Some have questioned, however, whether the company can generate enough revenue to survive. From a purely personal perspective, I hope it does; because I’ll definitely be using it again.